Comic books are popular in Spain, where they are highly appreciated by not only kids but also adults. From the 8th to the 10th of March, a great comic book fair is being held in Granada, Spain at the Kinepolis Shopping Center. The event, now in its 18th edition, is called El Salón Internacional del Cómic and is organized by Veleta Editions and the Andaluz Youth Institute. The fair has grown into an important meeting point in Spain for comic book readers and artists. This year, the artist featured in the main hall is Javier Aranda, a young artist from Granada. He has extensive experience working with famous publishing houses such as Marvel Comics, DC Entertainment, Devil’s Due and Avatar Press. There will be another event called “18 years: 18 authors” which is worth taking a look at while having a tour around the hall, where 18 authors from Granada will get the chance to present their work. Along with Spanish artists, various international artists will be attending the fair this year including special guest Joaquin Salvador Lavado, or Quino, the creator of the famous Argentine comic strip Mafalda. Quino will meet fans and display his work in the International Comic Hall. Quino’s Mafalda character, known around the world, appears in comic strips concerning herself with everyday issues and making witty comments on politics, economy and social life. She is often seen as a reflection of the Latin American middle class and the young voice of Progressivism. The character originally emerged from the movie “Dar la cara” based on the novel by David Viñas. The adventure of Mafalda ended in 1973, and since then Quino has drawn Mafalda for special causes. The fame has gone beyond the Americas to countries in which many people who study Spanish prefer reading comic books like Mafalda to improve their Spanish. 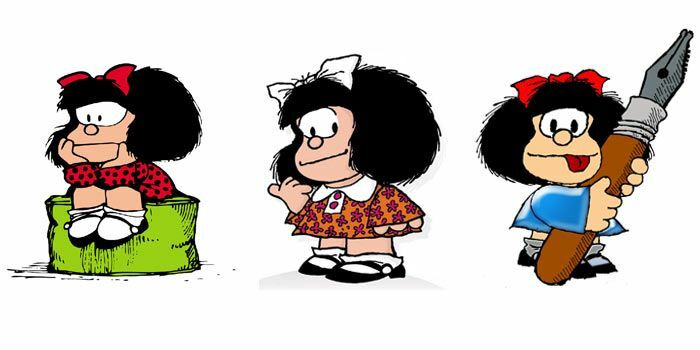 Mafalda is not only a character on paper; she represents an entire age and the voice of many in Spanish speaking countries. Don’t miss the chance to meet Mafalda if you happen to visit Comic Books Fair.